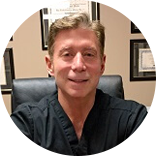 Dr. Bruce Marko, medical director and board certified hair restoration surgeon, of Advanced Hair Transplants of Las Vegas, is dedicated to the hair restoration industry and providing his patients with the most innovative and results oriented hair restoration surgery, the MAX DENSITY® Hair Restoration Procedure. The MAX DENSITY® Hair Restoration Procedure offers double the hair density in one procedure, compared to follicular unit extraction and pay-by-the-graft hair transplant surgeries. Dr. Marko has performed thousands of hair restoration procedures over the past 15 years and is committed to providing patients with state-of-the-art technology. If you're looking for the best in hair restoration, look no further than Dr. Bruce Marko at Advanced Hair Transplants in Las Vegas! Schedule a consultation at Advanced Transplants in Las Vegas today.